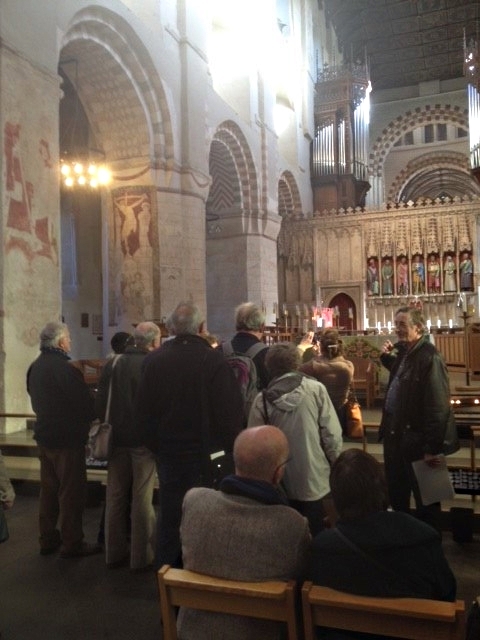 The 2017 Autumn Visits started in October with a tour of St Albans Abbey, which was led by the highly respected architect Richard Griffiths. Richard has been the Abbey’s project architect since 2002 and his work there was recognised earlier this year with no fewer than four RIBA Awards, including the RIBA East Project Architect of the Year Award and the RIBA National Award. AMS members were given a rare insight into Richard’s careful and scholarly approach to the conservation of this exceptional building. St Albans Abbey dates from 1077, with major additions from later centuries. 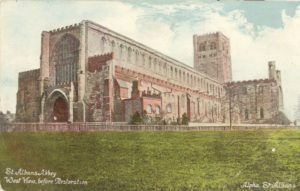 Despite Lord Grimthorpe’s infamous restorations of the 19th century, including the neo-Gothic west front, it is still predominantly Norman in character and boasts the only 11th century crossing tower still standing in England. 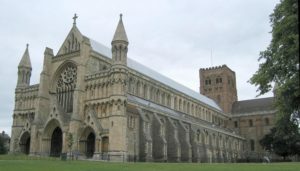 The re-use of Roman building materials in the construction of the Abbey – stone and clay tiles taken from the nearby Verulamium – only adds to overall feeling of antiquity. Above: St Albans Abbey before restoration and Below: as it stands today. 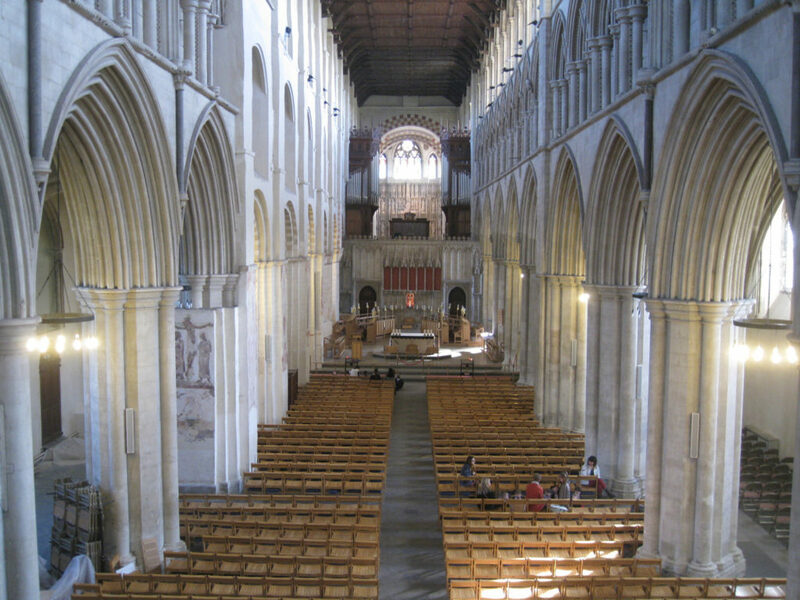 The Abbey has a luminous quality which has been enhanced by the recent cleaning of the nave’s internal walls. We were lucky to visit on a particularly fine day with light pouring into the Abbey. 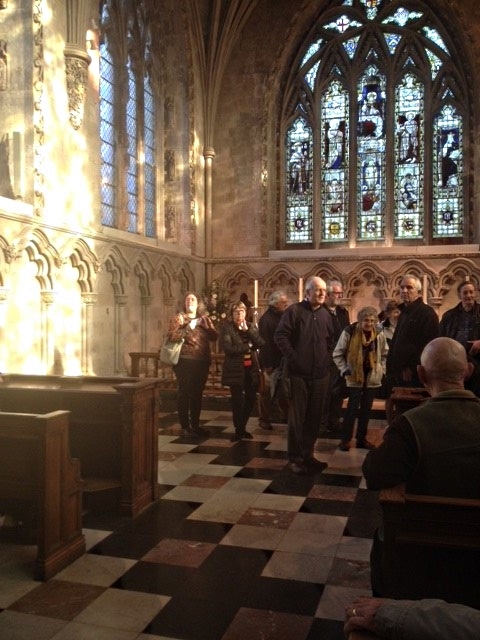 Richard led the group through the Abbey, stopping at various stages to describe the works he had carried out. 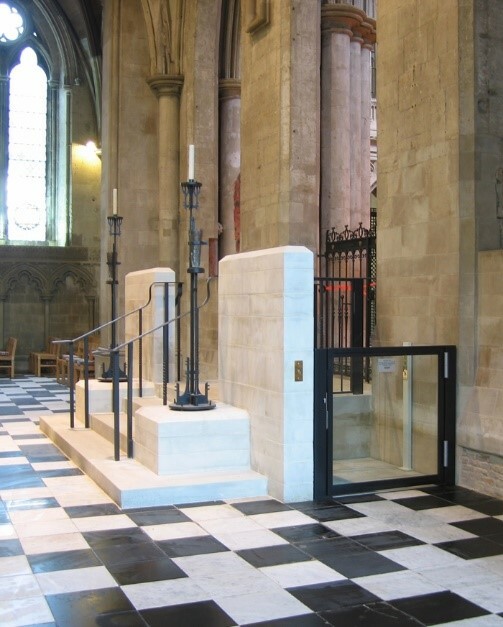 Highlights were the design of the reordered nave sanctuary, the refurbished choir stalls, the ingenious new disabled access to St Alban’s shrine and the newly-cleaned and repaired stonework in the Lady Chapel.